Corry Kitchen and Bath will help you plan your new Kitchen or Bath upgrade with confidence that your project will stay within your budget. Our high Quality, wood cabinets at affordable prices mean you don't have to compromise on quality, style or price. 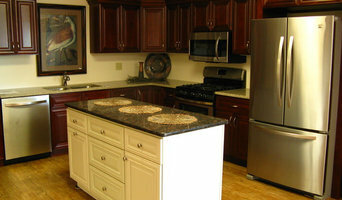 You can have beautiful, solid wood cabinets and we can help you. We have cabinet lines such as Candlelight Cabinetry, River Run and Ideal Cabinetry, so you can rest assured that although the prices are low, the quality remains high. You'll get soft closing, full extension drawers, heavy duty hardware, solid wood doors and frames and all wood construction. 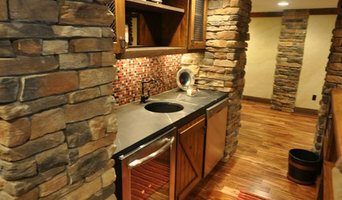 We can build you custom cabinets as well, skies the limit in color selection and style. We can help with design, quality products and workmanship. We have design software with 3D graphics that will enable us to take you on a virtual tour of your new kitchen or bath room before we start on the project. Corry Kitchen and Bath will mot only provide you with quality and affordable prices we can also perform the work. The three owners of the business, Bill Kalika, Rodney Curtis and Troy Turner, have over 70 years of combined experience in the building and remodeling industry. 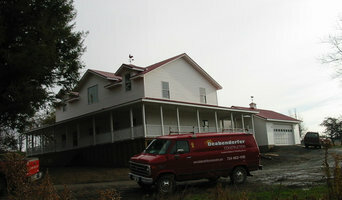 Our goal is to provide high quality, traditionally built homes for families of all budgets and lifestyles. We offer stock plans that can be customized for your needs, or we can design a totally new and unique plan to accommodate your lifestyle. Over nearly 40 years, he's designed over 2500 homes yet Greg still claims he, "hasn't worked a day in his life." This is because home design isn't a job for Greg, it's a calling. His fondest memories are comprised of building Lego houses and drawing homes in Kindergarten. Today, his eye for balance and flow both inside and out, has rendered him one of the region's foremost designers of single-family homes, additions, townhomes/quads, and pool houses in virtually any style. Greg's designs are renowned from coast to coast; he has been recognized with many awards as well as had the honor of his homes being used in multiple national advertisements. We design and build unique timber frame structures using trees we gather from our own Pennsylvania forestland. We have only elated clients. We design and build outdoor living spaces including decks, sunrooms, porches, pergolas, hard scaping, outdoor kitchens, etc. You want everything to be finished just right – the first time. Sommers Custom Design will give your job a level of attention to ensure that it is finished to the highest standard. Design-build firms take on the responsibilities of architects, contractors and construction companies, all under one roof. These full-service firms focus on a streamlined design-build process — from the initial design to the estimating phase to physical construction — in the hope of creating an efficient experience for both the client and the company. Because the entire project is happening within one company, Lucinda design-build firms are able to overlap the design and construction phases of the project, which often speeds up the project significantly. In addition, these firms work to minimize risks for the project owner through single-point responsibility contracts. However, depending on the firm, you may still want to contact an interior designer or architect to help create the exact look you want. Here are some related professionals and vendors to complement the work of design-build firms: Interior Designers & Decorators, Landscape Architects & Landscape Designers, Architects & Building Designers, Photographers. 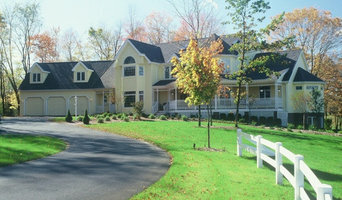 Before deciding on a residential design-and-build company in Lucinda, PA, think about what you want from your new home. Do you want a large kitchen for entertaining? Do you need several bedrooms for children and guests? Do you want a finished basement for extra space or storage? Look for Lucinda design-builders that specialize in the areas you're looking for. Budget is obviously a determining factor in the outcome of your project. To make sure you stay within your means, consider making a must-have list and a wish list. Gauge where the estimates are falling to determine which design-build contract can realistically strike the balance between the two. Find a Lucinda design-build company on Houzz. Narrow your search in the Professionals section of the website to design-build firms in Lucinda, PA. You may also look through Lucinda, PA photos to find a pool you like, then contact the design-build firm that created it.